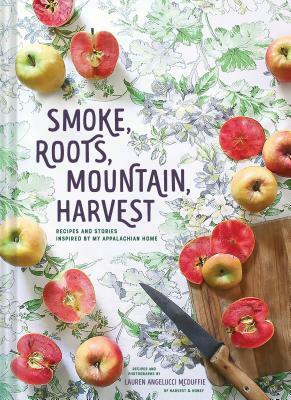 Smoke Roots Mountain Harvest by Lauren McDuffie, writer of the award-winning food blog Harvest and Honey (and a Saveur Best Blog finalist for "Best New Voice"), captures the flavors and modern cooking techniques of Appalachia and the Blue Ridge Mountains in this evocative cookbook. This beautiful cookbook showcases 70 recipes and 80 photographs organized by seasons. Each chapter opens with storytelling that echoes the folklore and tall tales of the region, centered on rediscovering the unique food culture of the region.